Enlightium Academy (EA) has developed the Progress Department to assist families with students in grades 3–12 in keeping track of students’ progress. The purpose of the Progress Department is to help parents keep their students accountable, to support students’ success in education, and to ensure compliance with the truancy policy as required by EA’s accreditation. What Does the Progress Department Do? The Progress Department tracks students’ progress weekly to ensure students are completing a sufficient amount of work on a weekly basis to finish the school year on time. An email notification is sent out to all families regarding their student’s progress. If a student continually falls behind without catching up on missed work, the Progress Department will communicate this to the parent(s) via email or phone (depending on the severity of the situation) and eventually take additional steps to keep the student accountable for catching up with assigned work. EA students can work at any time of the day and any days of the week, as long as they keep up with assigned work on a weekly basis and finish on time at the end of each quarter, semester, and school year. If a student is unable to finish assigned work during a given week due to illness, travel, or other reasons, please fill out the Absence Form ahead of time or immediately after the absence. This will prevent a student from incurring any penalties for falling behind. However, students are responsible for keeping up with school work and parents are responsible for providing sufficient documentation for excessive absences. If coursework is not completed by the assigned deadline, an extension may be granted depending on the situation and type of deadline. Schoolwork is accounted for on a weekly basis rather than a daily basis, so students are only held accountable for completing sufficient work for the week. The EA Progress Department recommends working daily (Monday-Friday) on school assignments, similar to a regular school setting. However, a student may work more on some days than others or additional days with less hours each day, as long as sufficient work is completed each week. Accommodations may be given for families with frequent delays in progress if the situation warrants it and if sufficient documentation is provided (ongoing illness, frequent travel, etc.). Additionally, EA’s optional Bridge Program allows for greater flexibility as arranged by the coordinator of that program. How Does the Progress Department Handle Truancy? 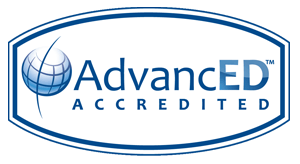 As an accredited online school, EA is responsible to hold students accountable regarding their progress. Though we are flexible and work with families in varying situations, extended periods of extremely low activity without sufficient documentation can result in a student being withdrawn from EA. To prevent students who are at risk of being withdrawn, the Progress Department sends weekly email notices to the family with warnings. In addition, EA counselors reach out to families by phone after multiple weeks of truant behavior. After numerous attempts to get in contact with the family, if the family does not communicate with EA, and if the student continues to show truant behavior, the student is withdrawn from EA and the family notified by email. Please be aware that receiving an email about low progress does not mean the student will be withdrawn. Families are encouraged to reply to these emails or contact the EA Progress Department by phone to find a solution for the student. Students who are showing truant behavior due to emotional distress caused by their circumstances may be directed to EA’s Bridge Program to provide additional support and instruction to get them back on track. The Progress Department has many resources that can help parents stay informed, including, but not limited to, weekly email notices detailing student progress. Two specific resources described below have proven to be useful for parents, helping them to effectively monitor their student’s progress. The student portal may also be used to review recent progress and grades with the student. Since 2013, Andrey has been involved in varying parts of Enlightium Academy. He has spent most of this time working with students and parents to provide a better understanding of the Ignitia curriculum platform and the progress of students through the coursework. He is leading the Progress Department and working with his team to develop new and better ways to help students succeed by keeping parents informed. Andrey attended and graduated from a Christian school and is currently pursuing a Business Administration degree at Eastern Washington University. He is raising his family with his wife in the beautiful Inland Northwest. Andrey enjoys quiet moments over a cup of tea and on nature walks. He is also involved with a group of Christians that focuses on evangelism in his town. Bryan holds a degree in Information Processing. He creates, manages, and updates processes which accurately report student progress. Additionally, he uses process-building and workflow automation to make progress tracking informative and precise. Bryan enjoys learning new skills or crafts and applying them in creative and innovative ways. He also enjoys running, playing ping pong, and playing basketball with his family. While in college, Bryan spent time tutoring his classmates. He enjoys sharing knowledge, as well as learning from others. Jovanny is completing his B.A. in humanities at Whitworth University. He works as a Customer Service Specialist and supports the Progress Department at Enlightium Academy. He enjoys learning from others, loving others and pointing people to Jesus! In doing so, he actively makes it a point to know families personally and encourage them in the work God is currently doing now, while being mindful of the day of glory to come. His ambition is to preach the Gospel and celebrate the goodness of King Jesus wherever he goes. He is captured and motivated by the beautiful power of God's grace! He is amazed by the awesome power of God to save rebels! Jovanny enjoys playing sports and various activities as a way to worship God with his body. He also sees this as a way to engage the lost with an invitation to know Jesus. Among many activities, Jovanny mainly plays basketball, disc golf, likes to fish, and when given the opportunity, he goes hunting for turkeys at the bowling alley. Haley joined Enlightium Academy in the fall of 2018. She has experience in Children’s Ministry and various customer service roles. Haley enjoys reading, going on walks, and studying God’s word with friends. She is a singer on the worship team, youth leader at her local church, and is involved with other discipleship groups among believers in the Pacific Northwest.